Ok you’ve developed your cloud application and you’re ready to publish it to Azure, wait a minute how are you going to upload your database to SQL Azure? Of course you just can’t do a backup – restore to the cloud so what are your options? Well actually there are two ways you could deploy a database to SQL Azure. With the first one you manually create your db schema installation script and run it using SQL Manager hopping that everything will work well (a lot of SQL features are just not there yet e.g. Multi Part Column names). But you can also use SQL Azure migration wizard to do that for you. 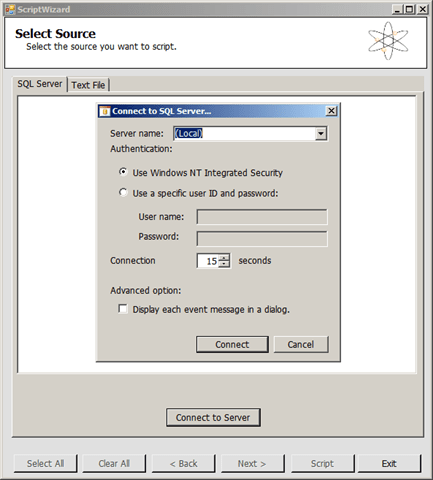 George Huey’s SQL Azure Migration Wizard (MigWiz) offers a streamlined alternative to the SQL Server Management Studio (SSMS) Script Wizard for generating SQL Azure schemas that conform to the service’s current Data Definition Language (DDL) limitations. You can download the binaries, source code, or both from CodePlex. You can learn more about MigWiz and watch a screencast from Wade Wegner’s SQL Azure Migration Wizard post.